Finnish government presented a bill for the nations first law governing intelligence issues. The government is attempting to rush the law, that requires amending the constitution, as an urgent one. It’s very uncommon to rush constitutional changes in one parliamentary term. To pass, such a law has to be accepted by 5/6 of the parliament. 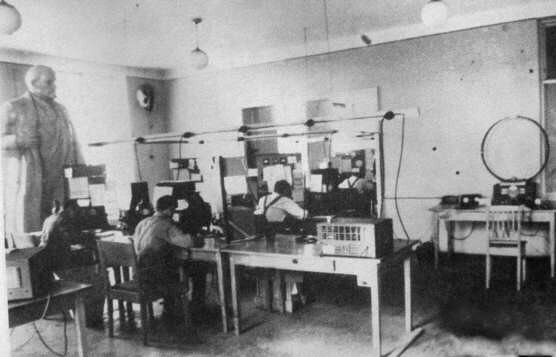 Although Finland was famous for its ability to gather and break Soviet and Russian communications all the way from World War 2 up until the late 1990’s, there hasn’t been a law that would allow either the military or the Suojelupoliisi (Finnish counter-intelligence) to conduct online surveillance or information gathering operations abroad. The Finnish Defense Forces have been restricted to traditional signal intelligence on the radio transmissions that reach Finnish territory. These restrictions have severely hampered the Finnish intelligence community as most of the Russian armed forces’ day to day communications are now network-based and radio communications are only used when the troops are on the march. This type of intelligence gathering can only warn about imminent enemy activity and any strategic decisions and preparations are left in the dark. Naturally this type of SIGINT is utterly useless against non-state actors such as ISIS, that rely solely on online communications. Both the FDF and Suojelupoliisi have asked for online surveillance and intelligence gathering rights for a long time. It’s a well-known fact that ex-President Halonen and ex-FM Tuomioja strongly opposed any new powers to either the FDF or the Police. The same dynamic duo is also responsible for pushing Finland to sign the disastrous Ottawa mine ban treaty. The new intelligence law will give the Suojelupoliisi and the military intelligence authorization to intercept, break open and read confidential electronic communications, hack devises to use them for audio and video surveillance, install audio and video surveillance equipment and use undercover operatives etc. These powers can be used against individuals and groups if there is suspicion of dangerous activities such as terrorism or espionage. In the case of individuals the intelligence agencies must seek a court order to initiate the surveillance, with only some short term exceptions. The general rule is that the targets must be informed about the surveillance when it ends. But there are national security related exceptions to that. Military intelligence will be allowed to freely conduct surveillance and intelligence gathering against state actors (that would be Russia and their cronies). No court order is needed to initiate military intelligence operations. The Finnish Defense Forces will be required to report to the local police if they come across serious crimes during their surveillance. Both the military intelligence and Suojelupoliisi will be forced to destroy without reading any unintentionally intercepted material. This will be enforced by a separation of intelligence gathering and analysis personnel. In order to protect civil rights the parliament will establish an intelligence committee and an intelligence ombudsman. Both will be given open access to intelligence operations and both Suojelupoliisi and the military intelligence will be under a strict parliamentary supervision. Most political parties in the parliament agree that an intelligence law is needed as they see the risks posed by the increased Russian activity and frequent ISIS inspired terrorist attacks in Europe. As Finland got sandwiched by the Saint Petersburg and Stockholm attacks within a week, most MP:s have opened their eyes. The main, thinly veiled opposition comes from thepro-Russian elements within the Social Democrats and from some leftists and Greens, who oppose the increased spending on military and law enforcement. Some privacy concerns have been voiced by individual parliamentarians. The proposed intelligence law is quite balanced on how it treats the individual citizens, it gives wide powers to the intelligence services, but those services will be brought into closer parliamentary control and the judicial system will have a lot say over the implementation of the law into real world intelligence practices. Current geopolitical situation with an aggressive Russia practicing fast mobilizations of its armed forces on a regular basis and where the time window from the first observable troop movements into an invasion have shrunk from weeks to mere days or hours the Finnish army and decision makers need all the information they can acquire.